You know how it is when you're expecting your first baby, your mind is constantly going over all of the things you NEED to have before the baby arrives and your mental list of things you will NEVER be able to survive parenthood without is as long as your arms! However, once the baby actually arrives - you soon come to realise that actually a lot of the products that you absolutely HAD to have, are really pretty useless. Before Tyne was born all I could think about was the risk of cot death, and I was convinced that I would never be able to sleep and would instead be spending all night perched over his crib checking his breathing. When I heard about the baby breathing monitors on the market I thought all my problems were solved, and I just HAD to have one - they're certainly not cheap and I spent months trying to get the money together to buy one and panicking over not having one....I eventually purchased one the week before his birth. The one we bought cost £60 and is to be placed on the babies nappy to monitor his stomach rising and falling when he breathes. The product is still in its box, at the back of cupboard. Why? Because it is so very impractical. Initially we couldn't use it because we had a small baby and his Micro nappies were big on him and didn't touch his skin, so when we tried to attach the alarm to them - it wasn't in contact with his skin and would always give false alarms. So we put it away and have since decided against using it at all. The monitors are known to have false alarms every now and then....and so if it were to have one, it would wake the baby up and most likely give him a massive fright with its loud piercing alert (which I think would probably be quite dangerous, in itself)...and because it is to be placed on their nappy, it would take a half-asleep Mummy a good few minutes to be able to undo the babies sleepsuit and then his vest to be able to get to the monitor on his nappy and deactivate it. I have also learnt that babies actually breathe rather loudly, and as a Mum with your baby sleeping next to you in his basket (as its advised to keep a baby in your bedroom until they are 6 months old for safety reasons) you become aware of their breathing patterns and can monitor them without the use of an alarm. Of course I'm sure these products are literal lifesavers for some and its good that they are on the market if people choose to them - but for us, it hasn't worked out at all. 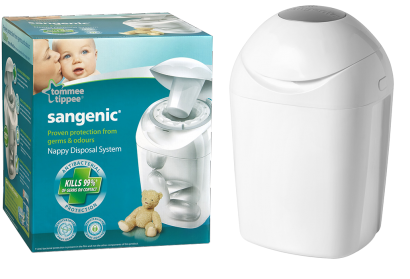 We purchased a Tommee Tippee nappy disposal unit when I was very early on in the pregnancy because I couldn't imagine having to constantly change dirty nappies and be running outside to the bin all the time to dispose of them. However, it is still in its box at the back of the cupboard. Why? Because when you're running around everywhere else every 5 minutes, it REALLY doesn't make any difference to have to put a nappy in the bin every now and then! Plus we use nappy bags anyway, so the smell and dirt is all contained nicely in those. We bought one of these as we thought it would be handy to have an aid to keep the baby afloat in the bath to make washing him easier. We haven't used it because its easy enough to wash the baby and keep him afloat in the conventional, old fashioned way of just using our hands....I cannot be bothered with having any additional things around that aren't really required. Bath time is enough of a faff as it is! Again - I thought these were a great idea. 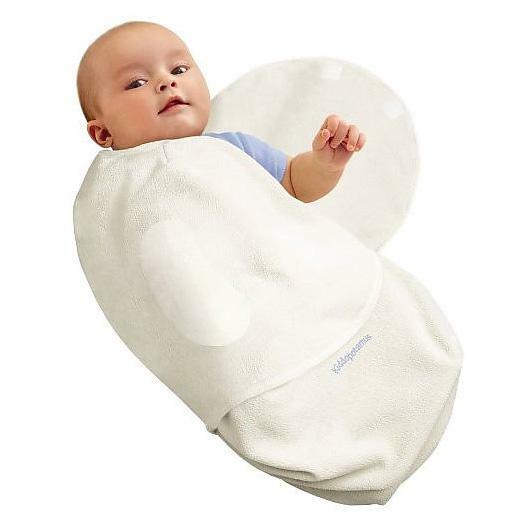 Making swaddling safe so that there can be no mix ups and nothing to put the baby in any danger. But actually, they're rather useless. The ones I have tried are all far too loose and far too light weight, Tyne was not comfortable or settled in them at all as he likes to be tightly swaddled. Normal cellular blankets work just fine. We've used this once - the idea of it seems to make sense, but actually we prefer to just bath the baby more often than top & tail him as he hates being topped & tailed anyway and it seems to be just as much hassle to do, so he might as well just have a bath and have a proper wash!! And even if we did want to top & tail him, clean bowls work just as well. 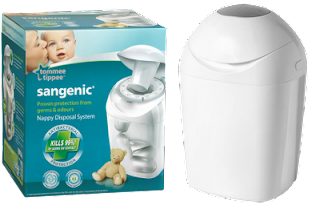 What products did you find to be useless as a first time parent? As always, I'd love to hear from you! All the useless things you buy when pregnant are unbelievable aren't they?! We never bought something to help bathing Tyler as using your hands is much easier but now he's close to 14lbs and getting heavy to keep up! I bought a bouncer which he never liked sitting in - waste of money and a breast pump that was never even used! I didnt buy any of these items thank god. I considered the nappy bin but we just have a normal bin next to the changing mats and we use the nappy bags whcih are so much cheaper in uk. We brought 300 when I was there before and my mum brought me 600 over and I had another friend bring me back 300 so I am doing ok still. I am definitely stocking up on them when I am back as well as getting more metanium and bonjela baby as I cant get either here. Nappy bags here are about 5 dollars for 75 wheras it was 12p for 100! I actually really liked my foam bath support! I did purchase a £40 Babasling and he HATED being in it. He much preferred the £13 Chicco one from ASDA! We use our top and tail bowl a lot but only because Oscar hates having a bath so we only pop him in it every 2-3 days until he gets used to it.